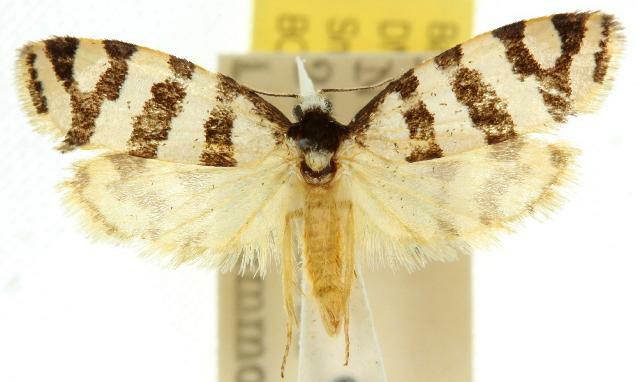 The adult moths of this species have off-white forewings, each with five brown transverse bands, two of them joining on the hind-margin, and a brown stripe along the basal area of the costa. The hindwings are off-white, each with vague shadows of two brown stripes and a brown wingtip. The head is white and the thorax dark brown. The wingspan of the male moth is about 2 cms. Volume 47 (1923), p. 190.